Home Sustainability Europe One hundred installations for Cristini! One hundred installations for Cristini! 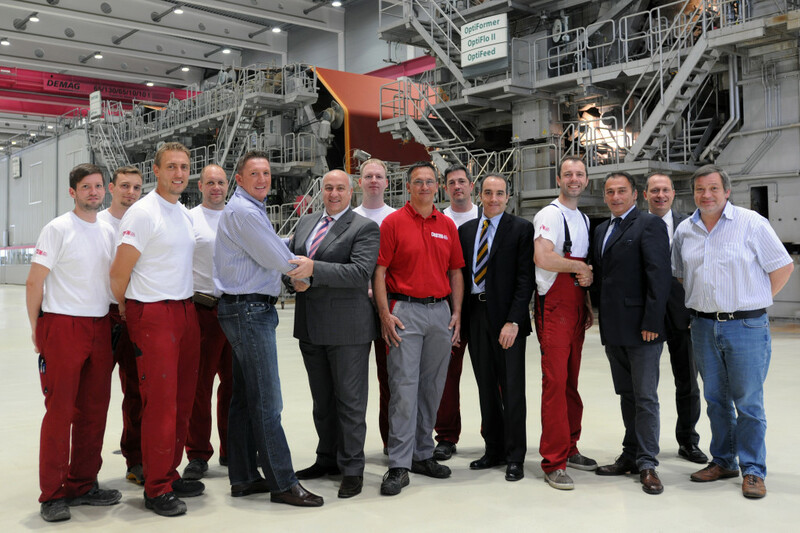 In Propapier’s PM2 at Eisenhüttenstadt has been installed the 100th Cristini press fabric. On the occasion were present the Vice President Sales, Vittorio Montiglio, the Vice President Technology, Giovanni Cristini, the Sales Manager Europe Marco Bucchi and the Cristini German Team, to thank the Propapier Manager, Paper Division Goetz Herold, the Paper Production Manager Peter Resvanis, the Manager of PM 2 Stefan Juergen and the whole Propapier Team. 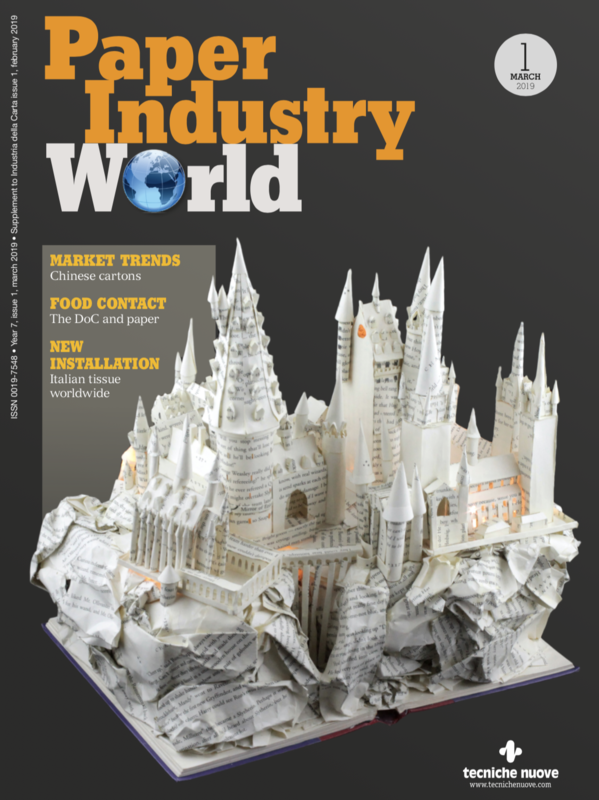 Crucial to this success – in addition to the excellent cooperation – the designs of new press fabric concept DuraFlex and DuraPreXX, which were installed for the 4th time sequentially on the first press. This combination creates an extremely high dewatering (>5.000 l/min only in firstnip), therefore a paper dry content consistently high (>57%). These new press fabric design obtained also a very stable runability – 1.675 m/min – also with light weight papers.